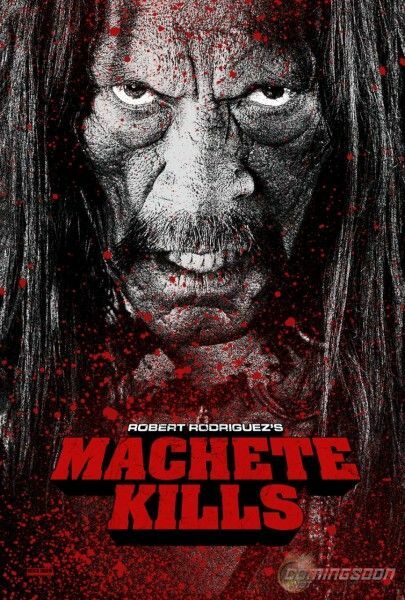 Hit the jump for more on Machete Kills. According to Deadline, Rodriguez is currently trying to round up financing for Machete Kills at the Cannes Film Festival. He’s also got trying to get Oscar-nominee Michelle Williams and crazy-person Mel Gibson to join the cast. On the one hand, I understand that Rodriguez needs stars in order to get financing. I love Trejo, but his name isn’t enough to get people into theaters. However, we should probably prepare ourselves for Machete to once again be a supporting character in his own movie. Also, if Rodriguez overloads his cast, he’s probably going to come out with yet another bloated mess. Here’s hoping that Gibson and Williams are part of a much smaller cast rather than the tip of a star-studded iceberg. It’s worth noting that a small cast might be in the cards since we’ve heard that filming is scheduled to begins in the next few weeks in Austin. That’s not much time to round up a big cast unless Rodriguez already has other actors from Machete set to return for the sequel. It’s also a bit of a crunch between Machete Kills and Sin City: A Dame to Kill For, but Rodriguez is known for working fast and cheap, so the time between his upcoming movies shouldn’t be too much of an issue.